Participants of the 13th Annual Encounter of Cuban Residents in Europe (ECRE) say they want the Cuban blockade lifted. Oct 21 (teleSUR) The XIII Annual Encounter of Cuban Residents in Europe (ECRE) is demanding that the United States end its nearly six-decade blockade of the Caribbean country, says organizer, Menia Martinez. “We will continue to fight the blockade,” Martinez told Prensa Latina from Brussels. “Soon there will be a new vote on the topic at the United Nations(Security Council meeting in Bolivia on Oct. 31) and we want our voice to be heard from Europe against that blockade that damages those in Cuba and the Cubans who live abroad,” she told reporters. Organized by the Association of Cubans Residents in Belgium (Cubabel), ECRE is being held this weekend in Brussels with the presence of about 200 participants from nearly 20 countries. Among the participants are members of the National Assembly of the People’s Power, Lizzete Martinez Luzardo, as well as the Cuban Director of Consular Affairs within the Ministry of Foreign Affairs, Ernesto Soberon. 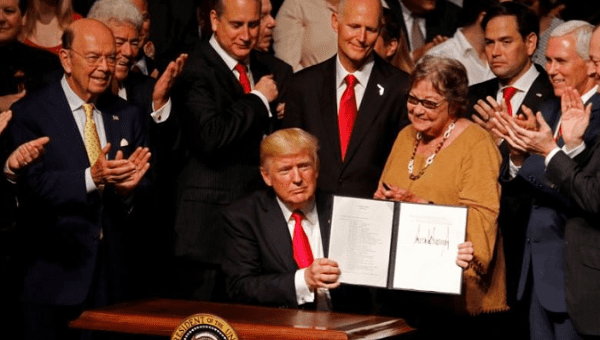 Prior to the meeting, the ECRE presented before the European Parliament the negative impacts that the Washington blockade has had on Cuba since 1959 that has become increasingly restrictive under the U.S. President Donald Trump administration. If the United States votes against the measure, as it historically has, the economic blockade that has cost the country over US$130 billion over the past six decades, will continue. Cubans living in Europe are participating in the several-months-long public consultations of the draft of the Caribbean island’s newest constitution which will be voted on in a national referendum Feb. 24, 2019. During the annual September U.N. General Assembly meeting held in New York, 191 world leaders voted to end the blockade on Cuba, while the United States and Israel were again the only nations to abstain.